The UNT athletics department is more than $63.19 million in debt as of the end of the 2017 fiscal year, according to documents filed with the NCAA. The athletics department deficit during the 2016-2017 school year was $4,213,178. The $63 million overall debt of the department makes up 14.5 percent of the university’s overall debt — more than $435.6 million for UNT — and is paid on by the athletics department each year. 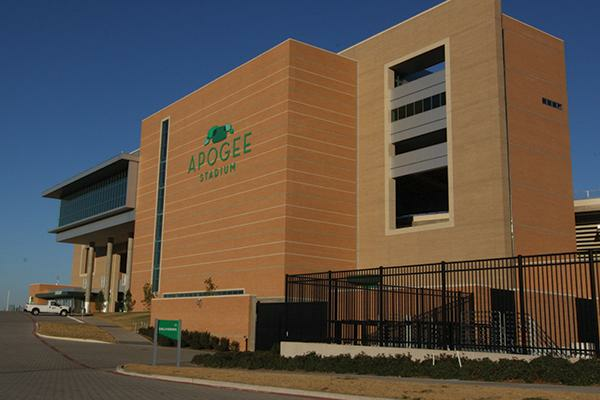 Moving forward in fiscal year 2019, the athletics department will be paying $4,575,207.15 toward the overall department debt, according to the Budget & Analytics Department at UNT. This payment surpasses its annual debt service — or the required amount of principal and interest to be paid annually — by approximately $300,000. Out of the five departments at UNT that are self-financing and hold its own debts (auxiliary, parking, student services, athletics and the Coliseum), the athletics department is paying off the second most of its debt in 2019, trailing the auxiliary payment, which includes housing and dining halls. Although debt payments for each departments are directly noted on financial statements, the debts of individual departments were not available, according to officials in the UNT Budget & Analytics Department. Wren Baker, vice president and director of athletics, was unaware of the current department’s debt. Throughout the past three years, the total athletics debt has decreased from $67.3 million in 2015 to $63.2 million at the end of the 2016-17 school year. The athletics department has not filed their income statement for the 2017-18 school year with the NCAA yet and generally files the report during the spring semester. In 2015 UNT athletics did not lose any money and brought in $43,447 more than it spent, and in 2016 the department lost $867,549. In 2017 the department lost approximately $4.2 million. The athletics deficit increased by 386 percent from 2016 to 2017. In 2017 the athletics facilities debt, leases and rental fees totaled more than $4.6 million. Facilities debt, leases and rental fees increased by $222,340 from 2016 to 2017. This year football saw the most significant increase in spending by $199,662, and “Other Sports” — a category in the report that includes sports that are not football or men’s and women’s basketball — saw a $23,745 increase. The biggest increase in spending from 2016 to 2017 was in “Support Staff/Administration Compensation, Benefits and Bonuses,” which saw a $781,265 rise in spending. The biggest decrease in spending was “Medical Expenses and Insurance,” which saw a $245,521 drop in spending. Total overall revenue fell from $33.3 million in 2016 to $32.2 million in 2017, despite overall expenses rising from $34,155,537 to $36,363,381. All UNT athletics teams operate at a loss, with the football team losing the most money — more than $4.3 million last year. The men’s basketball team lost $1,760,402 in 2017 and the women’s basketball team lost $1,022,084. All other teams combined lost $3,135,005 in 2017. The largest source of revenue for the athletics department is direct institutional support which totaled more than $10.8 million in 2017. 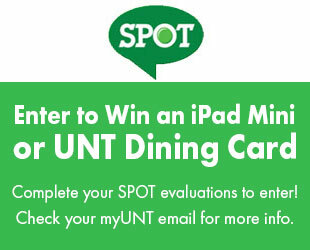 Direct institutional support from UNT can include unrestricted funds from the state, tuition and tuition discounts. It can also be allocated in the form of work study or from unrestricted endowments. UNT athletic’s second largest source of revenue is student fees, which in 2017 totaled more than $10.5 million. That number is projected to be larger in 2019 since the student athletics fee increase was passed in spring 2018. This increase is projected to increase department revenue by $3.5 million annually, as the Daily reported in February. Direct institutional support and student fees made up nearly two-thirds of the revenue for the athletics department. Ticket sales were 3.6 percent of total revenue for 2017 — of which football ticket sales made up the vast majority of the sales (88.16 percent). Of the total institutional support, $8,292,886 (76.6 percent) went to men’s teams and $2,537,090 (23.4 percent) went to women’s teams. The football team received the highest amount of institutional support with $6,625,416, or 61.2 percent of all institutional support. “Institutional support is never the one you want to go to, you want to be able to self sustain,” said Eric Capper, senior associate athletics director of communications. “Reality is, there are only a handful of athletic departments in the country that have the ability to be self-sustained. UNT athletics paid men’s teams head and assistant coaches $4,161,461 combined in 2017 and paid women’s teams head and assistant coaches $1,688,694 — 40 percent of what the department paid men’s teams coaches despite there being five men’s teams and nine women’s teams. In fundraising, marketing and promotion, UNT athletics spent more than $56,137 on football, $31,416 on men’s basketball, $29,423 on women’s basketball, $1,555 on volleyball and $38 on soccer — a team that was No. 1 in Conference USA and got to the conference championship semifinals that year. Earlier this year, the athletics department announced the Light the Tower Master Plan which mapped out short-term and long-term facilities projects. These included a tailgate park, a baseball stadium and a new softball stadium. At this point in the Master Plan, the athletics department does not have an idea in mind for the total cost of the program. **Editor’s note: An earlier version of this story referred to the $4,213,178 deficit in the 2016-2017 school year as an addition to the debt. **Editor’s note: The North Texas Daily reached out for comment to Stacy Martin, athletics department chief financial officer, and she declined an interview. “The biggest increase in spending from 2016 to 2017 was in “Support Staff/Administration Compensation, Benefits and Bonuses,” which saw a $781,265 rise in spending.”- After Wren Baker was hired, he added 3 new executive level positions (all making 6 figures). I’m guessing that’s the reason for the big increase.